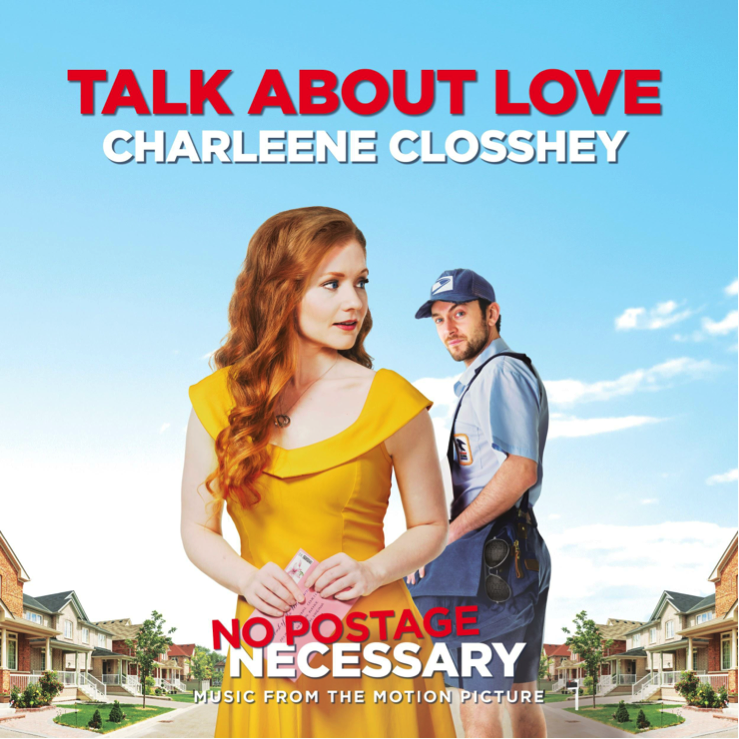 The digital-only soundtrack for the Indie Dramedy "No Postage Necessary" is now available “Talk About Love: Music from the Motion Picture No Postage Necessary” which marks the first soundtrack from singer/songwriter/composer Charleene Closshey. "No Postage Necessary" made history earlier this year when it became the first-ever film to be released via the Blockchain, allowing consumers to stream using cryptocurrency. 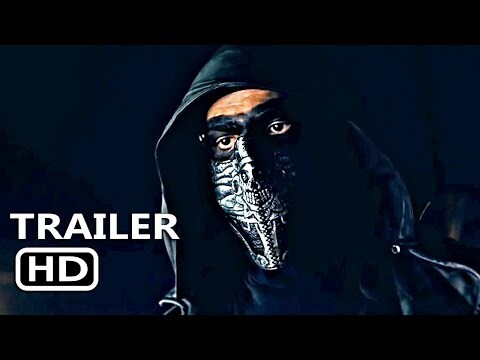 The film was released in select theaters July 6, 2018 and via blockchain technology and VOD on July 10, 2018, and now available on Blu-ray and DVD as of October 2. Closshey composed, orchestrated and recorded the film’s musical piano-based orchestral score. The soundtrack was produced by award-winning songwriter, engineer and producer Brent Maher. Maher has won six Grammy Awards and is known for his work with legendary musicians such as The Judds, Willie Nelson, Elvis Presley and Tina Turner. As live singing is featured throughout the film, the album is composed of two sections: Vocals, featuring a studio-produced analog sound with only live instruments produced on a Trident TSM 1978 console engineered by Grammy award winning engineer Charles Yingling, and Score, featuring an interplay of digital soundscapes Closshey herself programmed with select analog components. The soundtrack features a duet between Closshey and fellow "No Postage Necessary" star George Blagden on the track “‘Til I Loved You,” heard exclusively on the soundtrack. Blagden’s voice in heard in the film singing the beginning of this song. Blagden and Closshey co wrote this track with Nashville veterans Brent Maher and slide guitar legend Mark Selby. Additionally, Closshey duets with Irish singer/songwriter Gareth Dunlop on track “Give Me Your Heart,” the same song the two performed live in the film. For the soundtrack, Closshey composed an orchestral string score, teaming with Bulgarian conductor Lyubomir Denev to record live strings: Closshey monitored the session live from Nashville while the musicians performed in Sofia, Bulgaria. Charleene Closshey is an American actress, musician, composer and producer who frequently focuses on stories that empower self-choice. A classically trained artist, Closshey’s first instrument was piano - she read music before she read words. Closshey began playing violin at age 12. Additionally, Closshey studied drama and music disciplines at Circle in the Square, The Juilliard School, New York University, and Berklee Music. She has released multiple albums and singles across genres, and has performed on stage with Josh Groban, the Trans Siberian Orchestra, Ricky Skaggs, Frank Sinatra, Jr. and legendary country artist Charlie Daniels, to name a few. Closshey co-founded production company Two Roads Picture Co. with professional partner Jeremy Culver. In addition to creating the soundtrack for No Postage Necessary, Closshey also starred in the film. In "No Postage Necessary," Sam (George Blagden) always seems to make the wrong decision. A convicted computer hacker, he's single, jaded and barred from using the internet. Forced to crash on his brother's couch, he makes ends meet by working at the local Twistee Treat and stealing mail while disguised as a postal worker. Then, a single pink envelope changes everything. Handwritten by a heartsick Josie (Closshey) to her late husband and fallen Marine, the tender missive awakens something in Sam. Desperate to be worthy of such love, he conspires to meet the beautiful, young war widow, longing to become a better man. As the two grow closer, she warms to the idea of a new chance at love, but not before Sam's past comes knocking in the form of an FBI agent looking for missing bitcoins. The album is being distributed by Satya Records. “Talk About Love: Music from the Motion Picture No Postage Necessary” will be available via iTunes/Apple, Spotify, Amazon and Google.